The following post was written, provided, and sponsored by JC's Bar and Grill. August is here and so is the fun at JC's Bar and Grill! From a party of two to a large group of your friends, we’ll make it feel like home. Check out the top seven reasons to visit JC’s! Our Daily Specials run from 5 p.m. to 10 p.m.
You won’t go wrong with JC’s $5.99 burger special. A quarter pound all beef patty cooked the way you want, with chips, is the perfect way to end the start of the week. Wash it down with Miller Lite (bottles/pints are $2.50 all day). 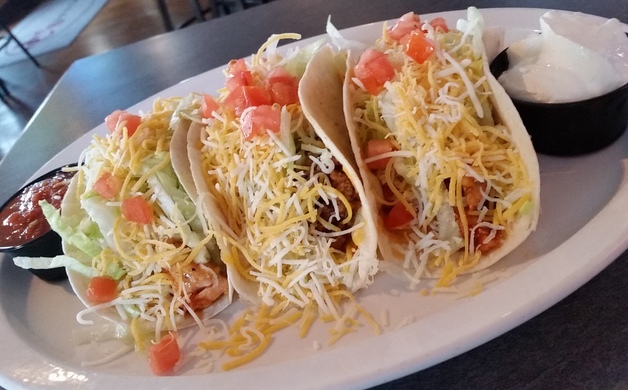 Taco Tuesday is the best day of the week! Taco Platters for $6.99 with your choice of beef or chicken, served with sour cream and salsa. Rail drinks are $2.50 all day long. Wing Wednesday is wild! JC’s wings are fabulous and with a $3.50 bone-in or $4.50 boneless special combined with $3 domestic pints all day, hump day might be the best day of the week! In the mood for a mouth watering pizza? JC’s has you covered. To make the deal even sweeter, we’re giving you $3 off! Premium pints are $4.50 all day and our meat raffle which begins at 6 p.m. is hard to beat. 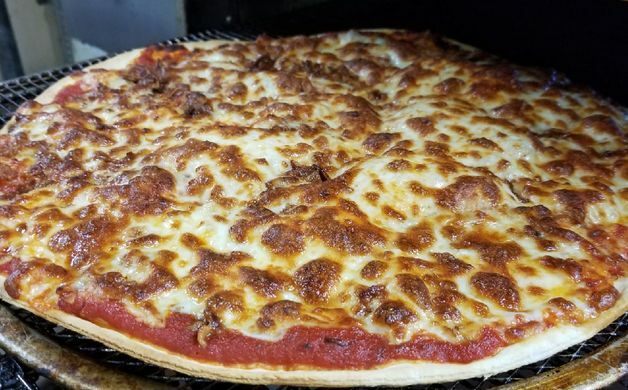 Start the weekend with JC’s! We have a great $10.99 Chef Special every Friday and you can enjoy $4 Captains all day long. From 10 p.m. to close, listen to a DJ/Karaoke. Enjoy breakfast from 10 a.m. to 2 p.m. Get half-price bottles of wine and $5.99 burgers (quarter pound) are back from 10 a.m. to 6 p.m. Try your luck at bingo beginning at 5 p.m. Enjoy our breakfast from 10 a.m. to 2 p.m., Bloody Mary’s are $3.50 and Screwdrivers are $2.50. All-Day Happy Hour rules during the football season with $2 off select appetizers and wings. To sweeten the deal, we have a special offer for our Maple Grove Voice readers. Take $5 off of your order of $25 or more. 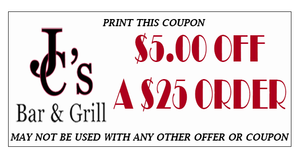 Click here to print your coupon. In addition to our bingo Wednesday and Saturday’s, JC's hosts a monthly Designer Purse Bingo on Thursday, Aug. 24. Please call ahead to reserve your spot (763-420-2107). We’ll see you at JC’s!